Beginning in 2012, the Habitat for Humanity chapter hosted the seventh annual Shanty Town night on March 9. Students spend the night in boxes to raise awareness and money for the homeless population. “I think that it is really important that we don’t take everything for granted and I think that Shanty Town is a good opportunity to better understand of what people of a lower economic status go through,” president Emily Patterson said. Students began the Shanty building process in the mid afternoon. 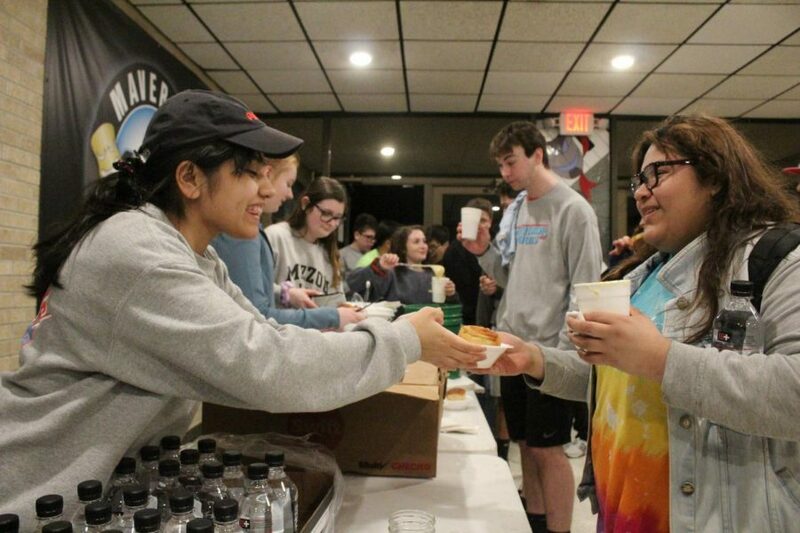 During the night, soup from Calico County provided to the students created a soup kitchen feel. Raffle prizes influenced students to call community members for donations throughout the night. “I was glad to help get contributions for Habitat, even if it wasn’t a lot because everything counts. It adds up to do everything that Habitat does,” senior Keaton Black said. At press time, the club raised $2,157 from donations during the night and from the rent students paid to participate. “I was so happy with how much we raised. I think that everything we can give to others is going to put good into the world,” Patterson said.